Near Fine book, white binding has some age fading and yellowing along edges and spine, in a Good to very Good jacket with edge wear, small chips and loss of color at spine ends and corners, back panel faded, several small closed tears along edges, light scratch front panel, an early collection of Bloch short stories that is apparently unread. Near Fine book with light edge wear, just through to board bottom back corner, light pushing at spine ends and mild page edge yellowing, in Very Good jacket that is heavily faded on spine and moderately faded back panel and flaps, two small, closed tears top of back panel, light edge and crease wear with some slight loss of color, previous owner's bookplate pasted in opposite half title page. 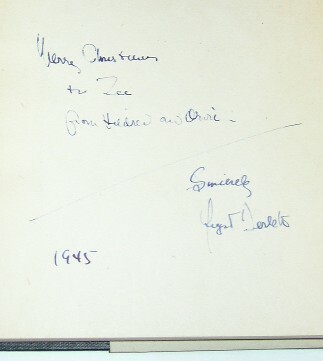 Book is inscribed and signed by Derleth on FEP "Merry Christmas to -- from -- and -- Sincerely August Derleth" and is dated 1945. 1987 First UK hardcover edition 1st printing NF+/NF+ very very slight edge wear and hint of page yellowing, beautiful unread copy with Koontz signed book plate laid-in. 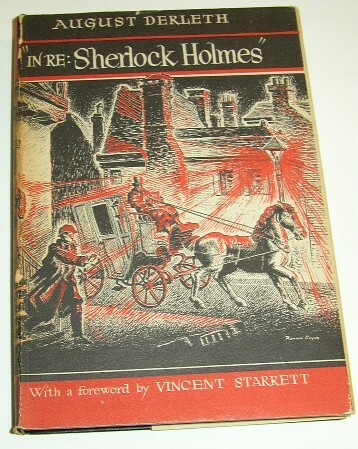 1996 UK first edition, Fine minus book with light page edge yellowing, in a Near Fine jacket with light edge wear and slight rubbing back panel. Brian. The Hunger and Ecstasy of Vampires Ziesing 1996 Limited First Edition 1st printing F/F, this is number 140 of 300 F/F new and unread book in F slipcase. Signed by Stableford. Price is NET.